This Braun Multimag has a resolution of up to 10,000 dpi and a maximum density of 4.2 Dmax. 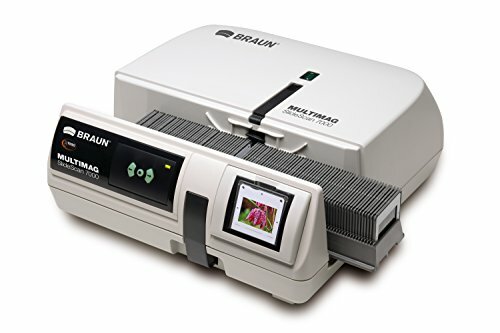 The Braun Mulitmag SlideScan 7000 magazine scanner delivers quickly high-quality digital reproductions of your slide in top quality. The scanner operates completely independently- just inset the magazine into the scanner and enter the number of slides to be scanned into the software. The scanning software also offers automatic functions for exposure, color correction and contrast. If you have any questions about this product by Braun Photo Technik GmbH, contact us by completing and submitting the form below. If you are looking for a specif part number, please include it with your message.